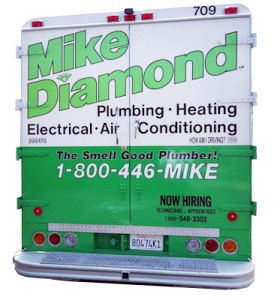 While competitors may waste time with multiple trips to get specific parts, Mike Diamond plumbers arrive with their fully stocked trucks containing all the tools and parts you need. Our state of the art plumbing trucks are equipped with the latest tools and technologies to handle any plumbing, drain cleaning, HVAC or other home repair need. We keep our trucks sanitized and fully stocked, so you can be sure we’re ready to tackle any problem without the unpleasant after-aroma. Each one of our fully stocked trucks contains at least five faucets and a garbage disposal, just to name a few. We also utilize just-in-time parts restocking to ensure our trucks are always fully stocked and clean so that we’re ready to tackle any plumbing job at a moments notice. Shaped for Efficient Service The famous box shape of our trucks allow our plumbers to sit in the cab of the truck, far from the potentially stinky plumbing equipment in the back. Though our plumbers clean up after every service, we also conduct weekly truck inspections to keep our vehicles in top shape when we show up in your driveway. 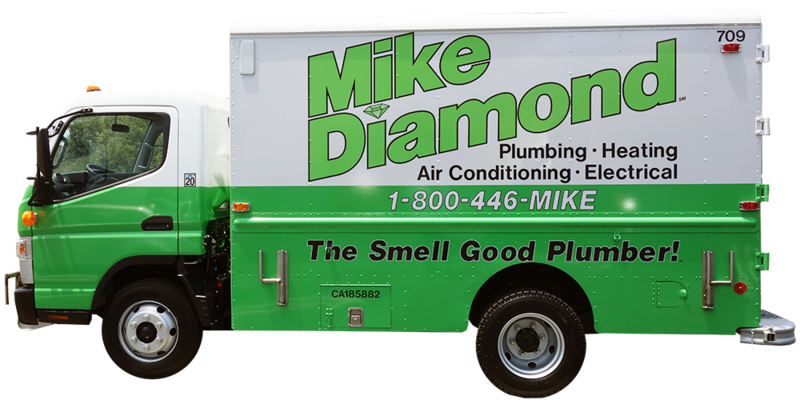 Staying clean and smelling good is what sets Mike Diamond plumbers apart. As we work towards “going green,” we are rolling out brand new eco-friendly trucks. These trucks use CNG (compressed natural gas) instead of traditional gasoline. 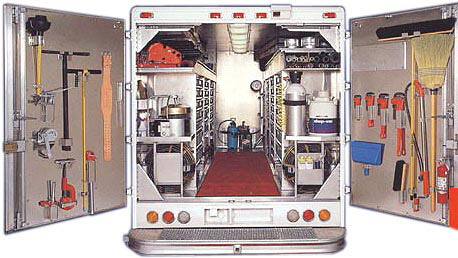 The vehicles meet EPA and CARB emission standards and use clean alternative fuels for power. CNG reduces the amount of gas needed to run a truck and will in turn result in fewer pollutants and greenhouse gases being emitted into the air.